DID NOT FLOOD! 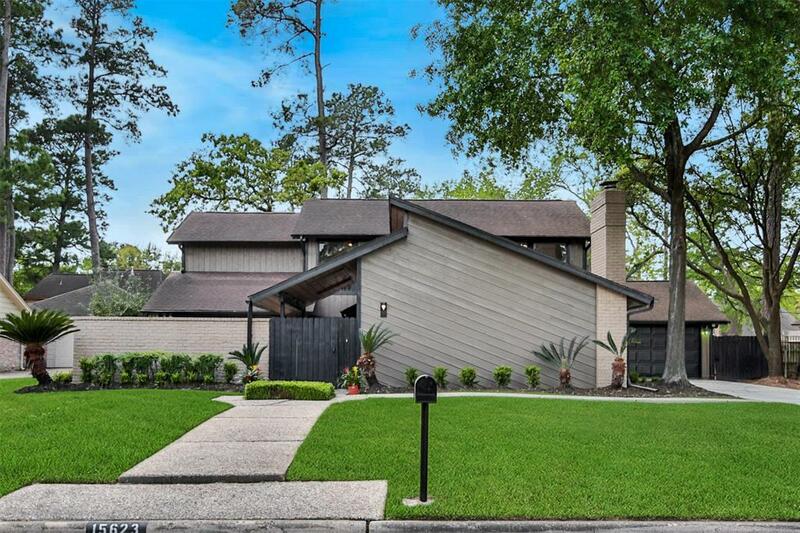 Completely Renovated, Contemporary/Modern Home. New in Kitchen include: Cook-Top, Dishwasher, Microwave, Wi-Fi Commend Oven & Granite through-out home. Breakfast Rm. w/ a panoramic back-yard view. 4 Bdrms. w/ the option of 5th Bdrm. or Game Rm. Downstairs Master comfortably over-looking Private Court-Yard w/ a stunning Sky-View. A spectacular 15 ft. high ceiling Formal Living Rm. showcasing a huge Private Court-Yard & an Open-Sky Atrium. Fresh Paint & Light Fixtures through-out Exterior & Interior of home w/ modern: Colors, Ceiling Fans & New Flooring on 1st floor. New Electrical Breaker Box & Mail Box. Home nested on a Freshly Landscaped Over-Size Lot, Huge Back-Yard, & Large Wood Deck. Impressive newly laid-out Drive-Way w/ curved Side-Walk adjacent to home. Newly installed Wi-Fi Garage Opener w/ new Rear Garage Door. Huge Light Pole located in front of home to ensure Night Security. Breath-taking Boulevard view which is meticulously maintained by community's HOA.